The Festival includes a friendship match with Korean children, three tournaments, side events and sight-seeing. There will also be opportunities to meet professional go players, including Lee Sedol 9P. On April 22nd, Austin held it’s ‘Post Tax Season’ tournament with a recent record 32 participants, ranging from 7D to 18K. 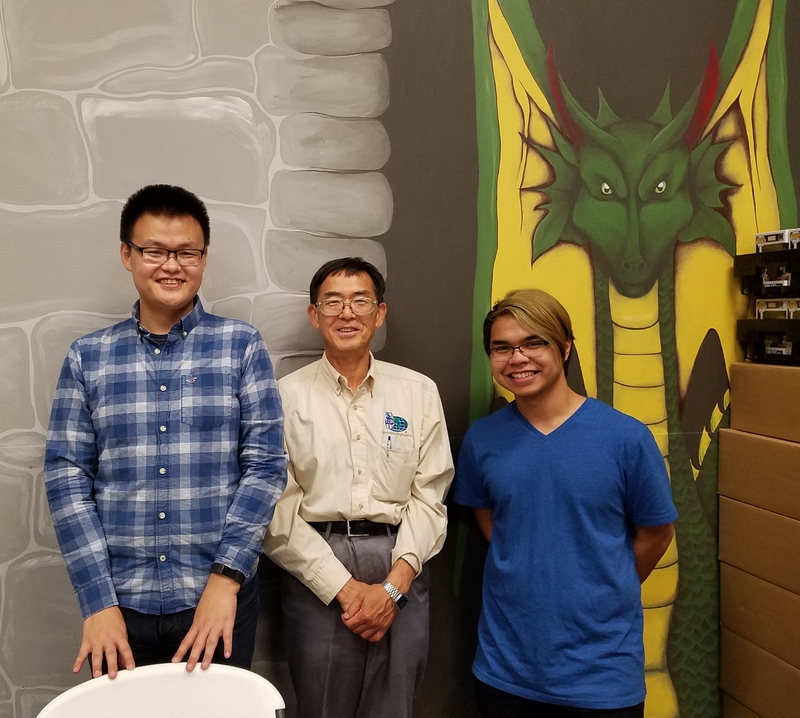 Three players finished the tournament with a 4-0 record: Zhixun (Troy) Zhao (7D), Joseph Pan (11K), and Paris Uch (15K). Honorable mention to those players going 3-1: Yi (Victor) Zhu (5d), Jim Conyngham (4K), Leigh Linden (6K), Raymond Wang (7K), Jiang Lin (8K), Francois Wolf (12K), Nathan Hess (13K). Machine beat man last year but at last night’s world premiere of “AlphaGo,” the people were the stars. The documentary about the 2016 AlphaGo-Lee Sedol match screened at the Tribeca Film Festival and “chronicles Google’s DeepMind team as it prepares to test the limits of its rapidly-evolving AI technology,” writes Tribeca film programmer Ian Hollander. “The film pits machine against man, and reveals as much about the workings of the human mind as it does the future of AI.” The film has four more showings at Tribeca this week (Sunday at 4:15, Monday 6:15, Wednesday 9:15 and Thursday 4p) and will then screen Friday night at the American Film Institute’s Silver Theatre in Washington, DC to cap the Grand Opening of the National Go Center (stay tuned for details on tickets). Director Greg Kohs has pulled off the impressive feat of making a film about go that will appeal to both players and non-players. 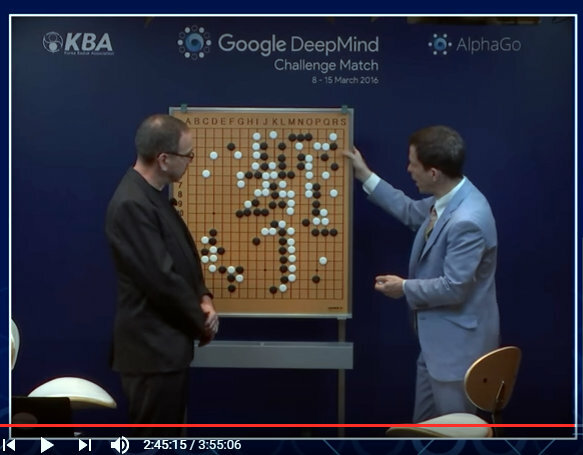 There is, of course, plenty of go, and, for those who followed last year’s match, the film offers a chance not only to revisit the most momentous match in go history, but to venture behind the scenes to see what the DeepMind crew was seeing, thinking and feeling as their creation took on the legendary Lee Sedol. 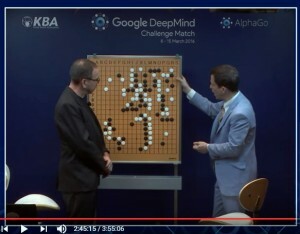 Kohs’ team also captures wonderful small moments that will resonate with go players, like a close-up of Lee’s fingers tapping as he considers a move, or a longshot of Lee from above on an empty terrace as he smokes a cigarette while AlphaGo, oblivious to the presence or absence of its opponent, plays move 37, the famous gasp-inducing shoulder-hit in Game 2. 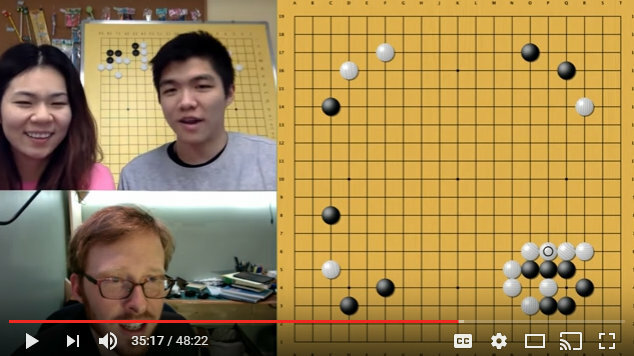 Kohs then takes us inside the AlphaGo team’s room where they explain that that the program calculated that there was a one-in-ten-thousand chance that a human would make that move, yet decided to play it anyway. 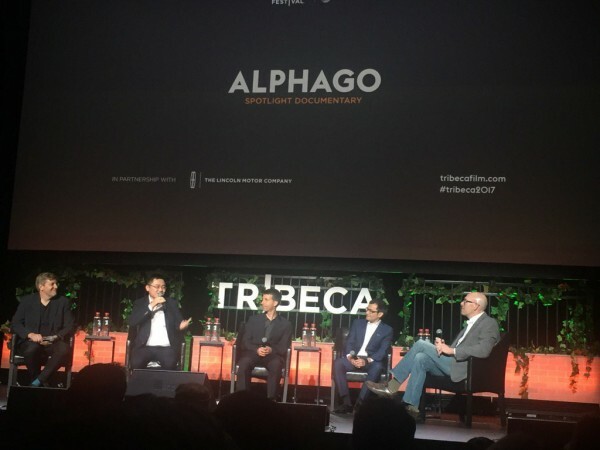 - report/photo by Chris Garlock; photo (l-r): “AlphaGo” director Greg Kohs, Fan Hui, David Silver, Demis Hassabis and Wired writer Cade Metz. Nominations for the American Go Foundation’s Teacher of the Year award are due by May 21st. Presented each year at the U.S. Go Congress, the award recognizes an outstanding American teacher. The winner will receive an all expenses paid trip to the US Go Congress. To be eligible, a teacher must be a member of the AGA, have been teaching go to children for at least two hours a week (during the school year) for two years, have started a go club or organization for youth, and have helped their students enter appropriate tournaments, if possible. If you would like to nominate someone for this award, including yourself, e-mail mail@agfgo.org. Nominations are due by May 21st and should include a description of the teacher’s activities, how long they have been teaching, and how many students attend their program. - Paul Barchilon, E-J Youth Editor. 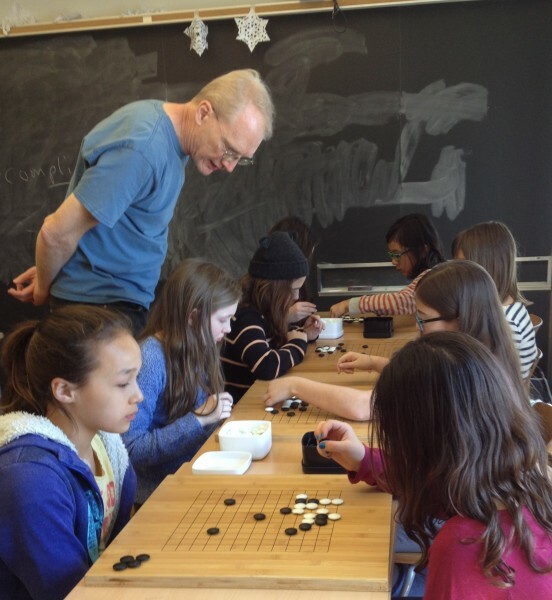 Photo: Paul Lockhart, 2016 AGF Teacher of the Year, working with students in New York. Read more about Lockhart’s work here. The 5th Electric Sage tournament: This is a tournament in which go-playing computer programs challenge human players. The tournament is organized by the Entertainment & Cognitive Sciences Research Station at the University of Electro-Communications and was held on March 26. The Chinese program FineArt and the Japanese program DeepZenGo both played games with Ichiriki Ryo 7P and both won. This was the first time that the games were played on even. In the previous four terms, the results had been 50-50 with programs taking four or three stones. FineArt took black against Ichiriki and secured a resignation after 157 moves. DeepZenGo took white and won by resignation after 162 moves. An interesting point came up in the endgame of FineArt’s game. It could have won big by playing a move that would have won a capturing race, but it played a small endgame move that still gave it a win. The program doesn’t “care” what the winning margin is so long as it wins. 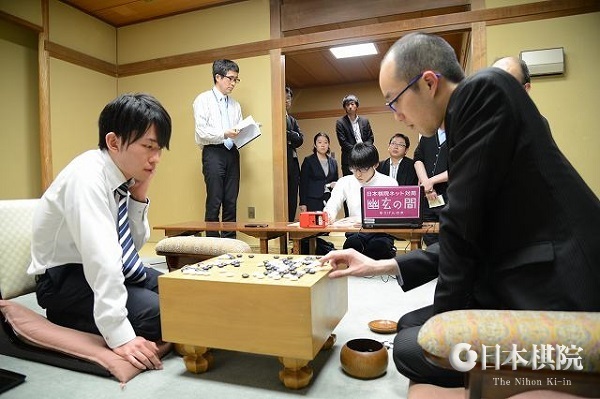 Motoki to challenge for Honinbo: All the games in the final round of the 72nd Honinbo League were played on April 6. Three players were still in the running to win the league: Motoki Katsuya 7P on 5-1 and Ko Iso 8P and Hane Naoki 9P, both on 4-2. Motoki was in the best position, as he would qualify for a play-off even if he lost. As it happened, he was matched against Ko. Taking white, he beat him by resignation, so he avoided a play-off. On his debut in the previous league, Motoki (at left) surprised fans by taking second place; this time he improved on that and will make his title-match debut. Becoming the Honinbo challenger also earned him promotion to 8-dan (effective as of April 7). Hane (B) beat Cho U 9P by resignation; his 5-2 score earned him second place, a big improvement on the previous league, in which he lost his place. Cho ended on 3-4 and lost his place. Yamashita Keigo 9P (W) beat Takao Shinji Meijin by resig. The former took third place with 4-3, and the latter, the number-one ranked player in the league, lost his place with 3-3. The final game was between two players who had already lost their places: Yuki Satoshi 9P (B) beat Mitani Tetsuya 7P by 2.5 points. Yuki ended on 2-5 and Mitani on 1-6. Motoki, aged 21 (birthday on August 2), is considered one of the contenders in the post-Iyama group, mainly because of his performance in the Honinbo League. 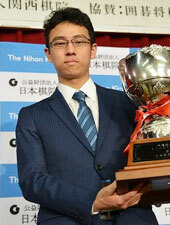 He has won one junior title, the 9th Hiroshima Aluminium Cup in 2014. The title match with Iyama will start on May 9. At 21 years eight months, Motoki will be the third-youngest challenger, following Ida Atsushi (20 exactly) and Cho U (21 years three months). Motoki has not yet played any official games with Iyama, but he mentioned that he had lost all of the ten or so unofficial games they had played. Iyama leads Meijin league: Not surprisingly, in view of his sextuple crown, Iyama Yuta started out as the favorite in the 42nd Meijin League and he has lived up to that billing. After five rounds, he is the only undefeated player; he has already had his bye, so his score is 4-0. 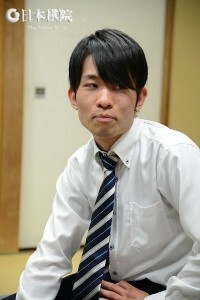 His closest rival is Yamashita Keigo, who is on 4-1. The two will play each other in the 7th round, which is in June. (March 27) Iyama (B) beat Hane Naoki by resig. ; Yamashita (B) beat Kono Rin by resig. (April 13) Iyama (B) beat Kono Rin by resig. ; Yamashita (W) beat Cho U by resig. Ryan Li 1p and Stephanie Yin 1p, hosted by Andrew Jackson, provide commentary of Master’s (AlphaGo) 37th game. In this game, Master plays black against Park Yeonghun 9p. Mexico has been chosen as the host country for this year’s Ibero American Go Championship (CIG) the biggest go event in Latin American. “Last year we launched the first Pandanet Go Latin American Team Championship (PGLATC) a 10-team league with teams formed of the top players of each participating country” reports Mexican Go Association’s president Emil García. The agreement with Pandanet is that the top two teams at the end of the league will get the chance to play an over the board final at the CIG in Mexico- with travel expenses sponsored by Pandanet. More information about the league can be found here. “Our idea is to make this a Latin American Go Congress, run both the CIG and the PGLATC final plus some activities with pro players for the participants, in the fashion of the US Go Congress or the European Go Congress,” adds García. The event is planned to take place in Cancun, Mexico on October 13th-15th, 2017. More information will be available soon on the Mexican Go Association’s new website. - Siddhartha Avila, Latin American Correspondent for the E-Journal. Ichiriki wins 2016 Grand Champion tournament: The Grand Champion tournament is a special Tournament for the winners of the previous year’s titles, including the minor ones. Previously, it was known as the Go Tournaments Title Winners Tournament, but the name was changed this year (the fourth term). Actually, the full name is the Minister for Foreign Affairs Cup Minister for Education and Science’s Prize 2016 Grand Champion Tournament. 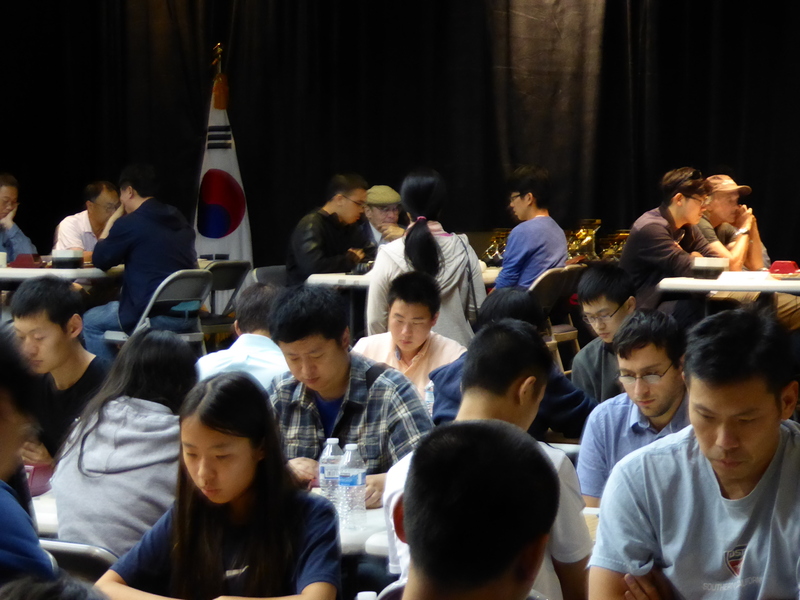 Fifteen players took part, with the format being an irregular knock-out (some players were seeded into later rounds). The semifinals and finals were held at the Nihon Ki-in headquarters in Ichigaya on March 18. In the semifinals, which started at 10 a.m.,Yamashita Keigo 9P (W) beat Iyama Yuta by resignation after 236 moves and Ichiriki Ryo 7P (W) beat Kono Rin 9P by 7.5 points. The final was played in the afternoon on the stage in the large hall on the second floor of the Ki-in. It was a “public” game, which means that on the same stage Takemiya Masaki 9P and Yoshihara Yukari 6P gave a commentary, using a large demonstration board. Playing black, Ichiriki won by resignation after 251 moves. First prize is two million yen. Just to mention one noteworthy result from the first round, Fujisawa Rina, Women’s Honinbo, beat Takao Shinji Meijin (she lost to Kono in the next round). Yo fights back in Judan title match: Yo Seiki (Yu Zhengqi) 7P made a bad start in the 55th Judan title match, losing the first game to Iyama Judan on March 7. There was a gap of over three weeks before the second game, played in a pavilion at the Usa Shrine in Usa City, Oita Prefecture, on March 30. The game was plunged almost immediately into fierce fighting that spilled all over the board. Taking white, Iyama (left) completely outplayed Yo (right) and forced a resignation after 160 moves. At this point, it looked as if the match might be a repeat of the previous one between these two, the 64th Oza last year, which Iyama took with straight wins. The third game was played at the Kuroyon Royal Hotel in Omachi City, Nagano Prefecture, on April 6. Yo (W) beat Iyama by resignation after 204 moves. In their tenth game, Yo finally picked up his first win against Iyama and also his first title-match win. Yo probably gained a lot of confidence from this game; it featured furious fighting all the way, and he managed to outfight Iyama. The next game will be played on April 21. FineArt wins computer go tournament: The UEC Cup Computer Go Tournament was held on the campus of the University of Electro- Communications on March 18 and 19, with 29 programs from six countries competing. The final was fought between two programs of top professional level, FineArt of China and DeepZenGo of Japan, and was a convincing win for FineArt. The two finalists were chosen to play in the 5th Electric Sage tournament (see tomorrow’s EJ). 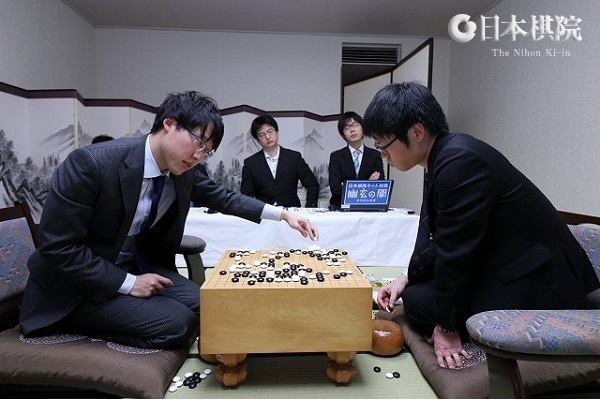 In-between, DeepZenGo played in the World Go Championship, which has already been reported on in the E-Journal. Featured guests include Nihon Ki-in Chairman Hiroaki Dan and his wife Yasuko and Michael Redmond 9P. This is event is open to the public but space is limited; register here. 7:00p: “AlphaGo” screens at AFI Silver Theatre; link for tickets coming soon! 9:00a: Cherry Blossom 2017, a 4-round AGA rated tournament. Pre-register here; space is limited and pre-registration for this historic first NGC tournament is strongly encouraged. The evening’s program begins with Pianist Haskell Small and another pianist performing Small’s “A Game of Go,” an original composition inspired by a famous game by the legendary Shusaku. 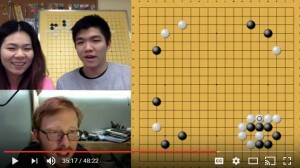 Michael Redmond and Chris Garlock will then do a commentary on one of the new games by Master/AlphaGo reprising their roles as commentators on the historic AlphaGo match a year ago. Audience questions and comments are welcome! NOTE: Saturday night’s event is a “Member Priority” event. Space is limited and first priority will be given to those who have made a membership commitment to the NGC at the basic level of $60/year or more. Click here to join (note “membership” in message). 12 noon: Children’s event, featuring free pizza, and a friendship match over Skype with children from Mexico City. Young players are strongly encouraged; click here if interested. Teachers and parents also welcome; this is a chance to meet others interested in promoting go in DC-area school programs and discuss how the NGC can support that. The Cotsen Open is seeking an organizer for this year’s tournament, coming up in October in Los Angeles. “We need someone who is organized, has follow-through, and who loves go,” says previous organizer Samantha Davis, who has moved to Chicago. “I’ll be able to train the right applicant, so you won’t be thrown in the deep end,” Davis adds. This is a paid position. If interested, email CotsenOpen@gmail.com.